In 1st T20 Pakistani Batsmen were performing much better but the rain came in the way and Pakistan lost the match by just 4 runs. It was continuously 3rd defeat of Pakistan from South Africa in a ODI match. Pakistan is usually considered a very good T20 team and wins most of the times but things are going opposite now a days. 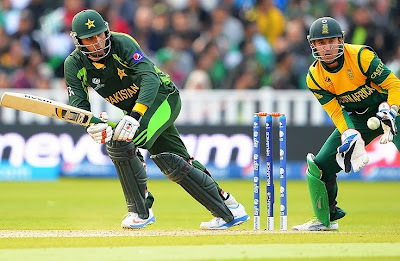 Today on Friday 22nd November 2013 Pakistan and South Africa are playing second T20 match in Cape Town. This is a must win match for Pakistan to draw the series by 1-1 as SA is having 1-0 lead already. In 1st T20 Pakistan went with fast bowlers and tried two new faces Bilawal Bhatti and Anwar Ali. Performance of Bilawal Bhatti was really impressive. Saeed Ajmal was left out in the first T20 which proved to be a bad decision for Pakistan. all the eyes will be once again on Pakistani Batting which has failed again and again in ODI and T20 matches against South Africa. Dale Steyn and Imran Tahir are proved to be real danger for Pakistan. For South Africa Young Q de Kock and T20 captain Faf du Plessis are performing really good in batting.